“Follow your heart” – this is Disney’s recommendation for those seeking life direction. But it’s not just Disney; it’s the kindergarten curriculum and the children’s books, the songs on the radio and graduation cards. When choosing a life path, we’re supposed to “do what we love” – because if we’re doing what we love, we’ve found our calling. Right? Six years of my career was spent in higher education, five of those years as a college counselor. As I sit down with parents and students, some starry-eyed and optimistic, others uncertain and under pressure, I frequently come back to the “Disney lie”: That doing what you love is the ticket to success, and that success – in and of itself – will lead to long term happiness. As believers, we have a different lens through which to view our calling. But even in the Christian world there is confusion over how to choose a career path. In today’s post, I want to encourage you to look at two different aspects of your personality: the unique skills and gifts God has given you, and the passion our world so celebrates. When a student tells me they love Russian literature and want to major in it, my first question is always, “That’s great! What are you going to do with that degree?” As pragmatic and boring as it sounds, college is an investment. It is an investment of time, money, and energy that can either produce a good return or a bad one – depending on how a student chooses. Too often, students enter college (or any career path) based on emotion instead of wisdom. They’re told to pursue their passions – even when those passions don’t provide a good return. This is why we see thousands of students graduating with degrees in “what they loved”, a boatload of debt, and no job upon graduation – or a job they absolutely hate. 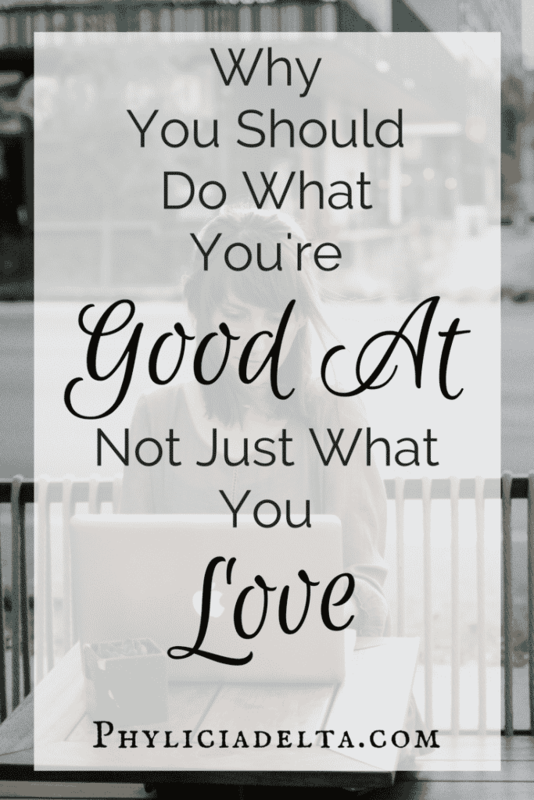 They’ve been sold a lie: that unless you love what you’re doing all the time, you’re in the wrong career. So they pursue a passion instead of the innate skills God has already given them. But this doesn’t mean passion is useless, or that I tell a student to forget about her love for Russian literature. Skill can fuel passion. What do I mean by this? Your God-given gifts and talents, the things you are naturally good at, equip you to pursue your passion until the passion becomes your primary pursuit. The second reason to pursue what you’re good at is this: skill funds passion. 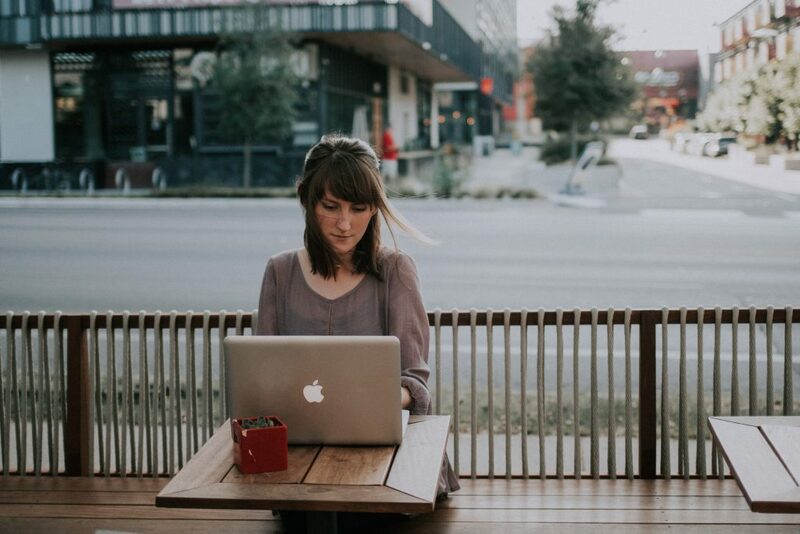 If you’re excellent at administration and management, but you’re passionate about creative writing, take a look at the starting wage and job opportunities in both these fields. Calculate how much debt you’d incur for each degree, and how much you’d have to make each year to pay rent, groceries, life bills AND your monthly payment to Sallie Mae. The student who majors in creative writing may be able to find a job post-college in her field – some do. But the student who majors in Business Administration is entering a much broader field with even more options, and if God has naturally gifted her in that area, she will do well as she follows His lead. In the meantime, she doesn’t need to give up her passion! Her skills will pay the way for her passion to grow. This is the epitome of a “side hustle” – which is exactly what I did for seven years. The third reason to fine tune your natural giftings before following passion is that passion fuels purpose. As you are faithful to steward the innate gifts God has given you through education and employment, your passions can be cultivated on the side. And when the day job gets tough and you don’t love it (which will happen in ANY career), your passion is there to buoy your purpose. For the student who majored in Business and minored in Creative Writing, she may return from a hard day at the office to work on her novel. She may spend her lunch breaks writing up her first book proposal. During the difficult of day-to-day, her passions keep her going – while her skills fuel and fund her passion’s existence. For the entirety of my career in higher ed, I worked on my writing on the side. I can now say that I am a writer, author, and speaker – but this didn’t happen overnight. It happened in the fringe hours of the day: before my commute, on my lunchbreak, and in the evenings between online classes. But my career in higher education both fueled and funded my passion. I did what I was good at, stewarded my gifts for the season God had me in, and was also able to fulfill my passion – all while avoiding astronomical debt. Disney and many college counselors will tell you to follow your heart, but your heart can deceive you. Follow God’s wisdom. He has given you both your skill AND your passion. Sometimes these two work together for a seamless transition into the career of your dreams. Sometimes one is for a season and the other is on the back burner. And sometimes we spend years cultivating both! My challenge for you: think bigger. Think bigger than the “follow your heart” message. Think long term: What is the best investment of time, money, and energy? How can you steward your gifts? Do you actually need a degree in this subject to do what you want to do? If you are wondering which step to take next, ask God. Wisdom is one thing He will never withhold! This post is a sneak peek of the content in chapter nine of Fruitful: A Year Long Guide to an Abundant Single Season – a brand new ebook launching September 1st, 2017! Sign up below to be first in line for the launch AND to receive your free 30 day prayer guide!